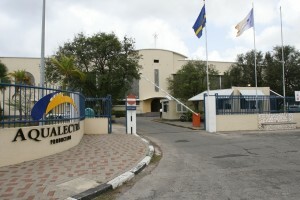 WILLEMSTAD - The latest case of corporate governance is the fact that the Minister of Finance of Curacao (Kenneth Gijsbertha) has written a letter on December 13, 2017, to the CEO of the state-owned utility company Aqualectra. The minister requested attention for the fact that the new pension law has created a gap for employees who have to leave the company at sixty but will receive the component of the general pension after they turn sixty-five. The question is if this request by the minister is in accordance with good corporate governance practices. This question is especially relevant because in June 2017, the court ruled, based on an extensive research that during 2010 – 2012 mismanagement took place within Aqualectra. To answer this question we must first define corporate governance. These days corporate governance is defined as a set of rules and regulation regarding the balance power between the organs (the shareholders, the supervisory board, the board of directors) and stakeholders of a corporation. This definition disguises the fact that good corporate governance is in fact about running a corporation based on a set of values (transparent, accountable, responsive, inclusive, and sustainable). The code (a document containing a set of rules) has pushed the values to the back; people simply comply with the rules. Getting back to the question: Was it okay for the minister to write a letter to the CEO of Aqualectra? The answer is: No. The minister should not even create the impression that he wants to intervene on this level in the company, especially if one keeps in mind that the state-owned company was created to avoid this type of intervention and that in 2017 it was established that these types of interventions have led to mismanagement of the company. Much more can be said about this and others cases of corporate governance practices. We invite you to attend our next Master Class Corporate Governance 3.0 on February 22nd and 23rd 2018. For more information, please visit www.universityofgovernance.com or www.miguelgoede.com.